High school students across California are participating in the California Rights Foundation statewide mock trial tournament. The 2012 fact pattern involves a murder trial layered with numerous hearsay issues and a hint of eDiscovery for the students. 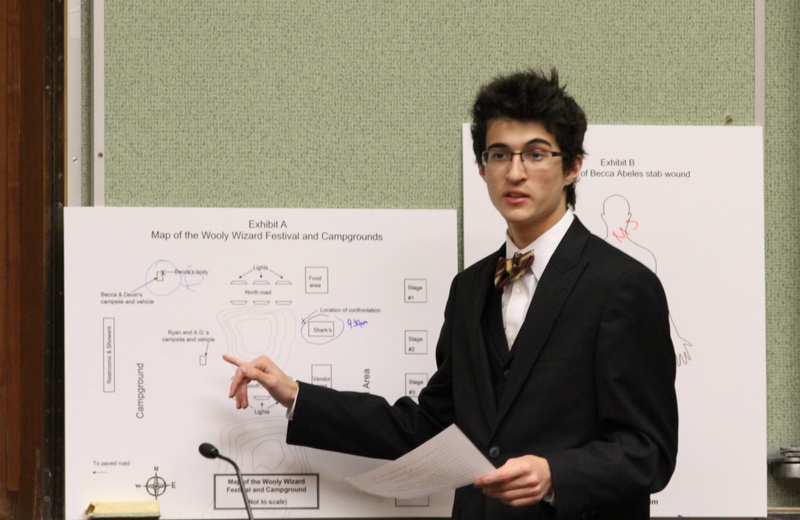 The Santa Clara County Courts, Santa Clara County Bar Association and Santa Clara County Department of Education host the Santa Clara County Mock Trial Tournament. Closing Arguments by a Student Defense Attorney. There are 20 high schools participating this year and over 150 students, nearly 40 judges volunteering to preside over the tournament and over 100 attorneys donating their time to serve as scoring attorneys during the competition. This is my second year coaching a high school team. I have been extremely proud of their performance, from delivering opening statements with confidence, to witnesses using Exhibits on direct examination, to the students’ knowledge of evidence in making objections. Not to mention the fact they all learned to tie bow ties or scarves. Beau Ties Ltd of Vermont once again worked with us in making the ties and scarves affordable for the youth. The entire tournament is an excellent testament to how supportive and kind the legal profession is to the community. Many attorneys have spent months working with students, in addition to all of their daily responsibilities. Defendant testifying to her innocence of the crime. The Tournament will run the rest of the month in Santa Clara. The California Finals will be in Sacramento at the end of March.